Description This Bainbridge, Georgia hotel has an outdoor pool, free internet access and non-smoking guest rooms. This hotel is also pet friendly. 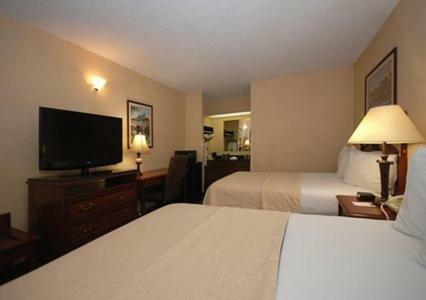 A central location a fitness center and rooms with pillowtop beds and flat-panel TVs are just some of the choice amenities our guests find at the Quality Inn Bainbridge. This low-rise hotel with a white colonial exterior has 60 rooms all with pillowtop beds flat-panel TVs with cable and a movie channel microwaves mini-fridges and coffeemakers. Non-smoking accommodations are available and some pets are allowed for an added fee depending on size. Read a complimentary weekday newspaper to start the day. Later knock out work duties at the business kiosk in the lobby or get in a workout at the on-site fitness center. 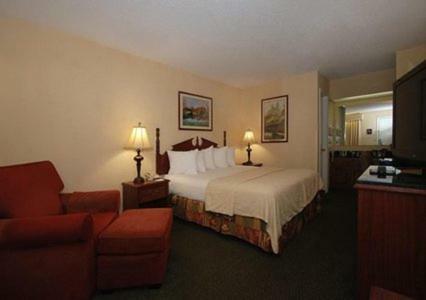 This Quality Inn is located off U.S. 84 about two miles from Bainbridge's center and the arts festivities at the Firehouse Center and Gallery. Bainbridge is located on the Flint River in South Georgia where bass fishing is very popular; Lake Seminole is about 35 miles away and Bainbridge State Park is across the Flint River about three miles from the hotel. Tallahassee and its regional airport are about 38 miles away; Jacksonville International Airport is 210 miles from the property. 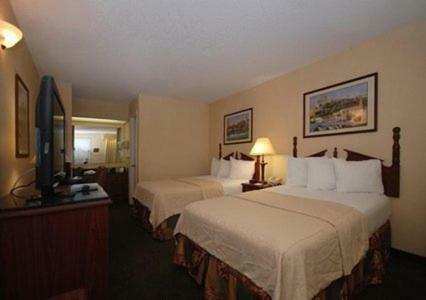 Add Quality Inn Bainbridge to your free online travel itinerary.